Carl Gerhard and Russ Remington on horns. When you’re a touring band starting out, you’ll play in any room that will take you. When you’re an upcoming band in New England, fortunately that includes the Stone Church in Newmarket, NH. Since 1969, this former Universalist meeting house built in 1832 has been a haven for live music. Besides Phish, the many artists that have graced its tiny stage include Buddy Guy, Aerosmith, Bonnie Raitt, John Scofield, Grace Potter and the Nocturnals, and a whole host of others. 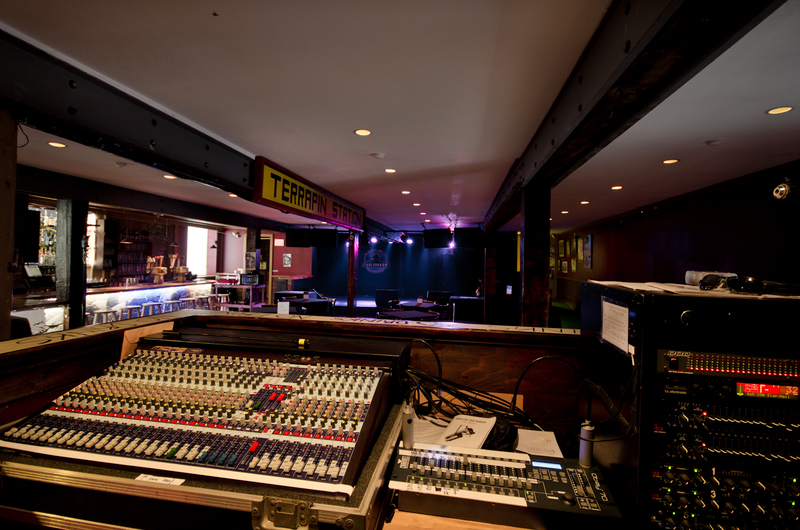 It’s unique location, a small town placed between the University of New Hampshire and the bustling seaside city of Portsmouth, gives the venue the crowds they need to be successful. This will also give the gig a more relaxed feel because it’s not in the high-pressure world of the Boston music scene. The venue remains a stalwart of the jamband community to this day. As for the show itself, we don’t get a lot of it. We get a very solid “David Bowie” from set 1. A forgettable “Mike’s Groove” from set 2. Though I will say the “Weekapaug” is striding towards its formidable modern form with a faster pace than before. After Weekapaug, Trey advertises a gig of Savoy Truffle and Ollie and the Patriots at the M.U.B. Trey doesn’t know what M.U.B. is right now but we’ll all find out soon in the band’s career. Most of the meat is in set 3. It kicks off with a lovely cover of John Coltrane’s “Mr. P.C.” featuring future Giant Country Horns members Russell Remington and Carl “Gears” Gerhard. Unlike the always present “A Train”, “Mr. P.C.” foreshadows the band’s desire to speed up tempos in future gigs as this one is played at full “hard bop” speed and it’s a delight. A real look at how the jazz chops were as important as the rock chops. This, I think, is a key factor in what made Phish stand out among other bands. Like the Grateful Dead before them did with bluegrass, they took these jazz influences and fused them to progressive rock in ways no one had yet and these old jazz standards show the importance of that. The rest of the set is pretty similar to previous gigs. I wouldn’t say these tracks are must listen but the importance of the Stone Church in the band’s history can’t be understated. 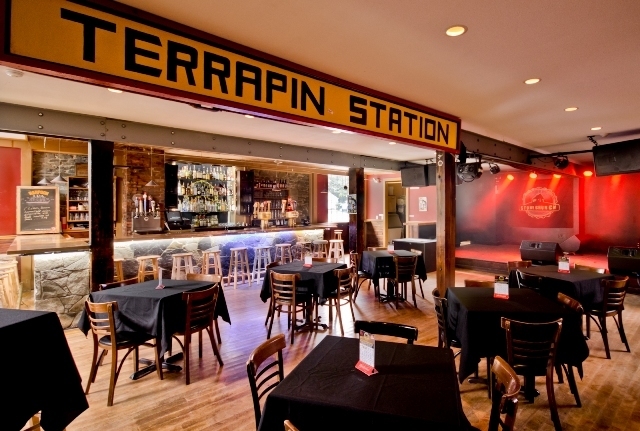 Of course, having a giant “Terrapin Station” sign over the bar and stained glass windows of Jerry Garcia and Frank Zappa couldn’t of hurt either.